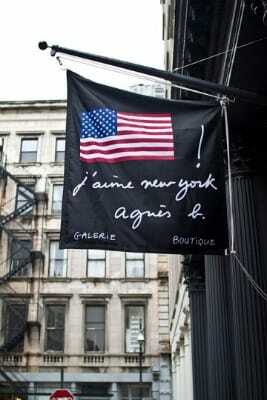 French brand agnès b. opened its newest store this past week in SoHo on Howard Street. The shop is regarded as a “Galerie Boutique,” and carries the label&apos;s men&apos;s & women&apos;s collections, commissioned art exhibitions, and collaborative projects. The shop&apos;s design aesthetic blends agnès b&apos;s contemporary theme with historical architecture and the store&apos;s 3000 square feet space displays a beautiful restoration of what was once a 1863 landmark building. Take a look if you&apos;re in town.